Marketing that works as hard as you do. PED PowerDocs is 'Next Gen' cloud software that allows power plant owners a faster and more efficent process for turnover and commissioning. It offers always-on mobile database access, and highly efficient testing, workflow and equipment certification. To highlight the technical advancements of the product we created a clean and bold, full-width site design. Instead of drilling down to several subpages, the content is arranged in single page scrolling layouts, with divided content panels that have an elegant reveal. We also developed companion marketing including a branded LinkedIn corporate page, as well as color sellsheets and business cards. 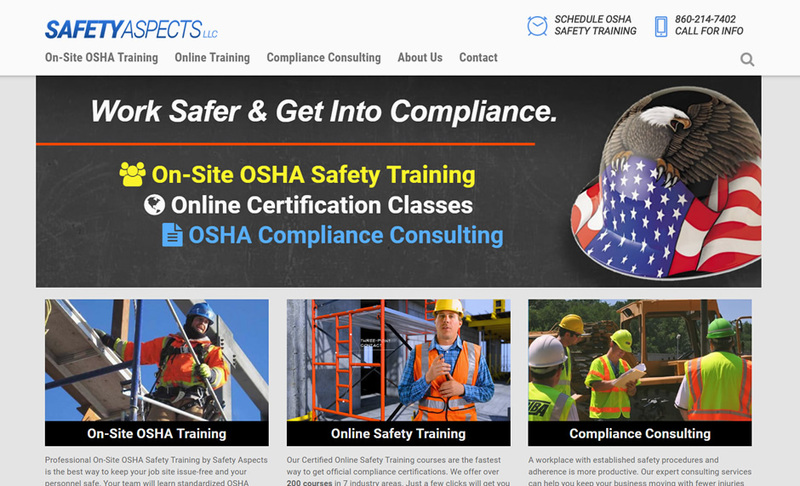 Safety Aspects offers professionally certified OSHA safety training services, including onsite training, jobsite safety consulting, and online certification courses. They wanted a new mobile friendly site that could interface with their Google Calendar class signup, as well as their online partner 360 Training. We created a dynamic new WordPress site that is logically organized and clearly describes all service offerings. We also incorporated numerous calls to action and completely refreshed keyword-rich content to take full advantage of Google SEO opportunities. 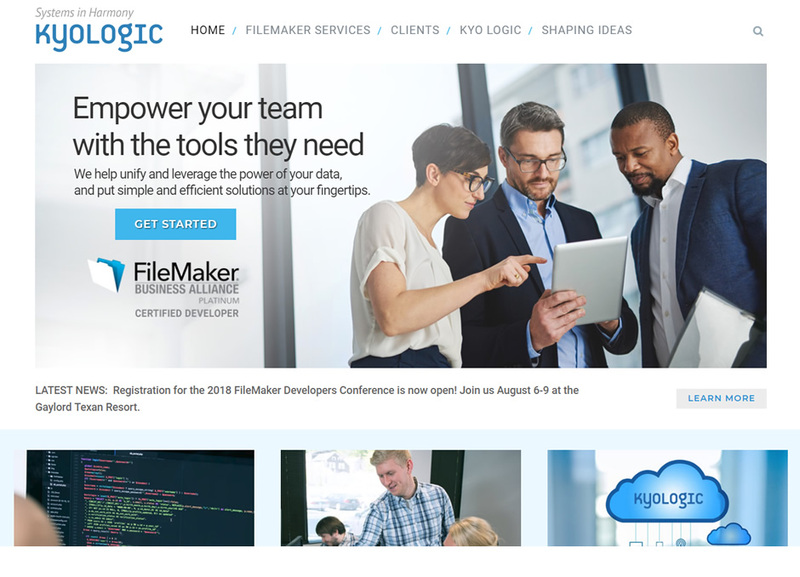 KyoLogic specializes in custom FileMaker development including custom applications for E-commerce, sales, inventory and productivity. We created a new WordPress site with a modern and professional design, that highlights their experience and customer commitment. Several new case studies illustrate the client's viewpoints and goals, to help convey their positive experience with the KyoLogic team and the lengths that they will go to ensure a successful project and lasting customer satisfaction. 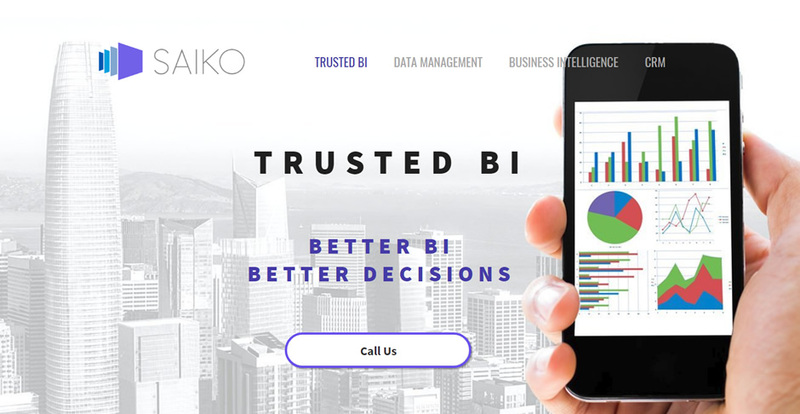 Saiko offers a comprehensive suite of Business Intelligence Services including Data Management, Business Intelligence, CRM, Microsoft Power BI, and more. We created a dynamic new Duda Mobile site that features their client services and wide industry experience. The competition among student insurance companies is fierce, with lowest rates sometimes the deciding factor. So we needed to differentiate Pupil Benefits Plan as an industry leader that pioneered the concept in 1932. 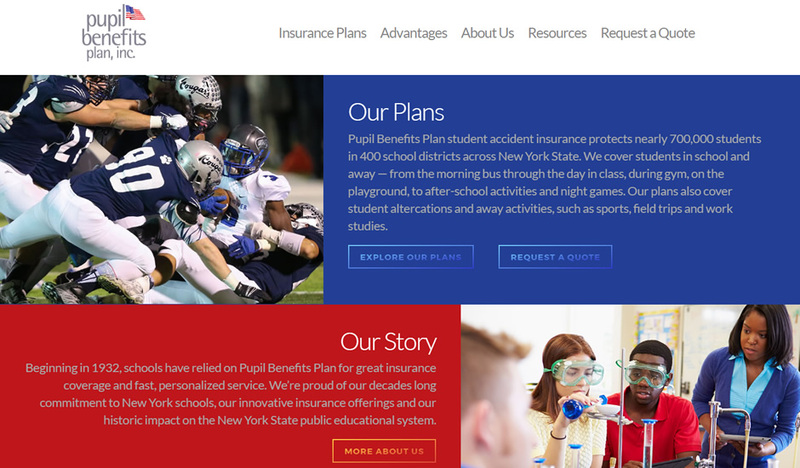 Their innovative plans were custom designed for today's schools and injury-prone sports, and they enjoy great customer satisfaction ratings. So our job was to just deliver their message more effectively. This is a project where brainstorming the design and marketing approach also included engaging content and tight copy writing. Calls-to-action needed to be short and sweet, to lead the visitor to a new quote request contact form. Early metrics are showing positive gains after launch, and the client is extremely happy with the end result. We enjoy a decade plus working relationship that includes their former websites, a variety of print collateral, and a new exhibit booth. 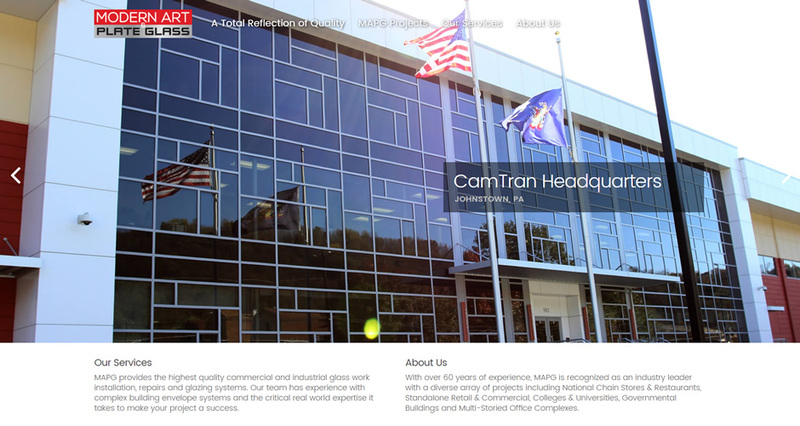 A high impact, wide-screen website design was our concept for MAPG, a construction company specializing in glass curtainwall systems. We wanted to leave visitors and prospective clients with a real sense of the scale and striking design of their projects. We also wanted to highlight the experience and technical prowess they bring to bear on every project. The portfolio section was organized to feature the large format images, with additional project data, technical challenges and solutions. We also carved out a section to demonstrate their custom solution capabilities to meet unique engineering challenges. 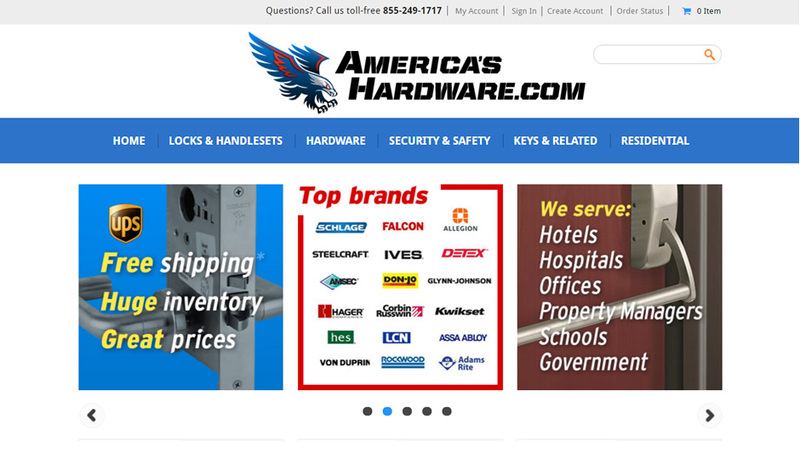 Our new E-Commerce site for AmericasHardware.com gives this NY Metro area hardware company a new online sales portal. With a powerful BigCommerce backend the client can promote, sell, ship, track orders, and analyze online sales with detailed metrics. The new site is mobile-friendly which helps busy building and facility managers quickly find and order the parts they need while they are out in the field. We initiated the branding effort with a new company name and domain name, plus a custom logo design. We also produced a variety of stationery and print collateral, as well as branded apparel including hoodies, t-shirts and hats. 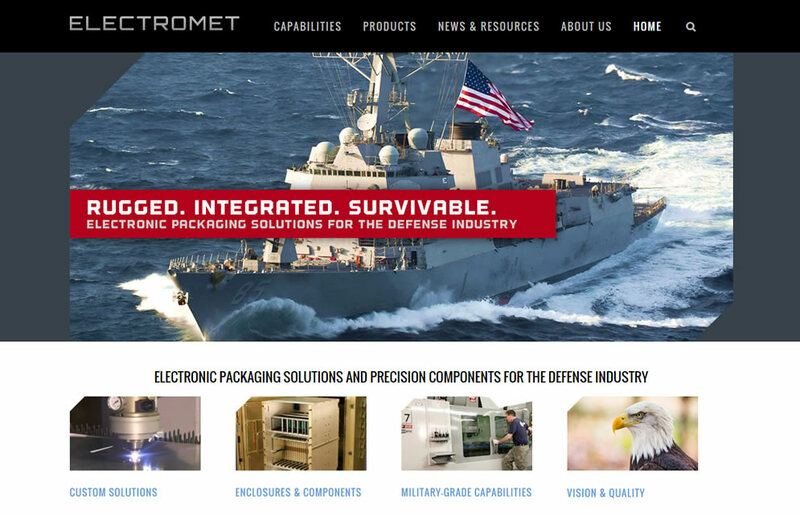 A mobile-friendly site was created for defense contractor Electromet. Their 'ruggedized' electronics cabinets are designed and engineered to help critical electronics survive the extreme shock and vibration forces during military operations. Logical organization is key to a successful site experience, and we've grouped the content here for two types of visitors. Those looking for at-a-glance info can jump directly to the section splash pages, and the nuts and bolts types can drill down into product pages with detailed info and specs to explore. A new Employment section with WordPress admin portal enables client-side management of new company job listings (add, manage, track). Applicants use a new online application and can attach additional docs such as resumes and certifications. 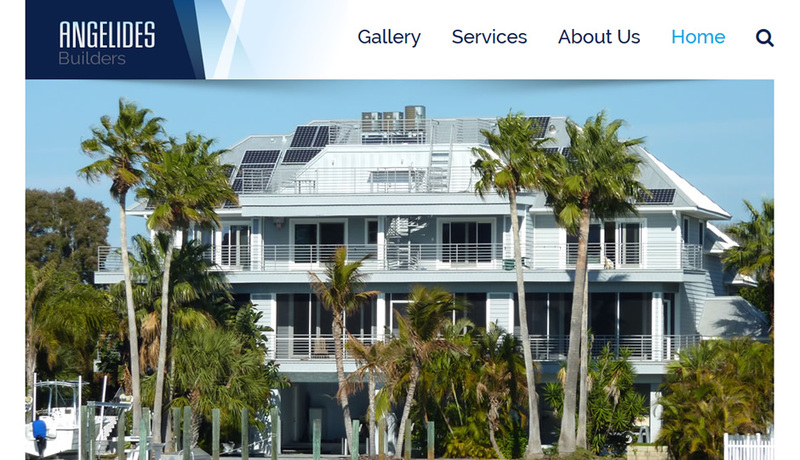 Angelides Builders is a highly acclaimed company specializing in Florida coastal construction and state-of-the art design build projects. This mobile-friendly site automatically adjusts to all devices for a seamless experience which allows their work to be paramount on any screen. And and a tap-to-call link helps turn prospects into clients. The site features stunning, hi-def photo galleries of project properties including HGTV's Beachfront Bargain Hunt Renovation. 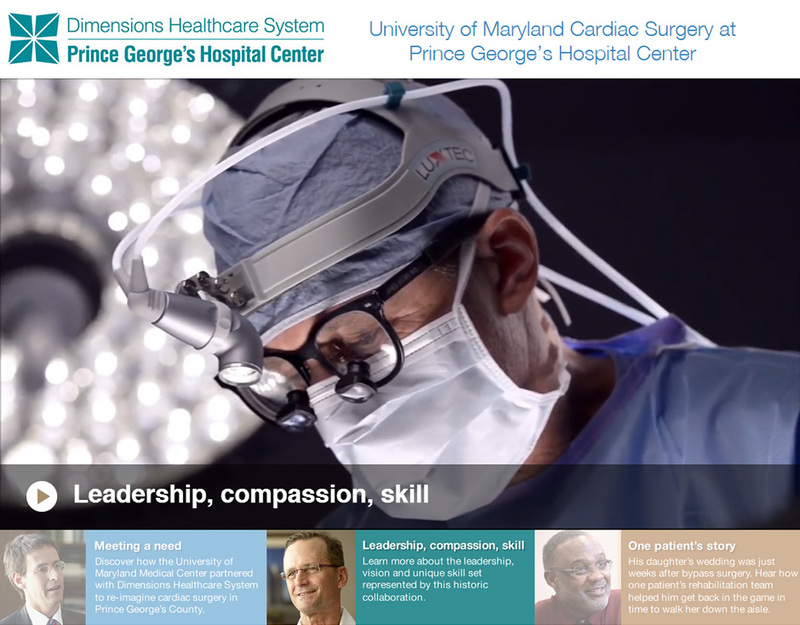 We created a mobile-friendly microsite for the University of Maryland Cardiac Surgery at Prince George’s Hospital Center, part of the Dimensions Healthcare System. The site's primary goal is to highlight their new advanced cardiac care center. Three powerful videos profile the team of doctors, hospital leaders and patients, and their partnership with the University of Maryland School of Medicine. A new branded Youtube channel that features a number of additional videos was created as an effective way to increase marketing scope and community awareness. Youtube is a Google company, and sites that feature embedded Youtube videos are given higher SEO consideration as they are seen as additional relevant content for the visitor. We recently launched a gen 3, mobile-friendly website for the Plaza which features a store map and company directory. We also integrated a Facebook feed which pulls the top stories from The Plaza Facebook page and displays them on the website. This make it much easier for the client to have a single place to post event and marketing updates. Often the corporate site will get fewer updates, but this approach streamlines the process and makes it easy for both the site and Facebook to have fresh updates. Our new E-Commerce site for this online retailer is powered by a robust and flexible BigCommerce backend so the client can promote, sell, ship, track orders, and analyze online sales with detailed metrics. They can also expand categories and product SKUs easily, and add sale promos. 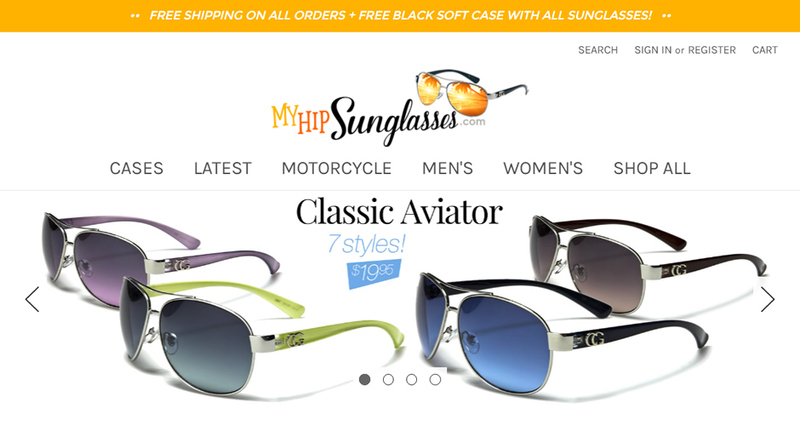 Click funnel is employed to encourage shoppers to upsell with accessories and add to cart. Google SEO meta tags, sitemaps and other tactics were implemented. We also created a custom logo design as well as color and style elements as part of the branding. 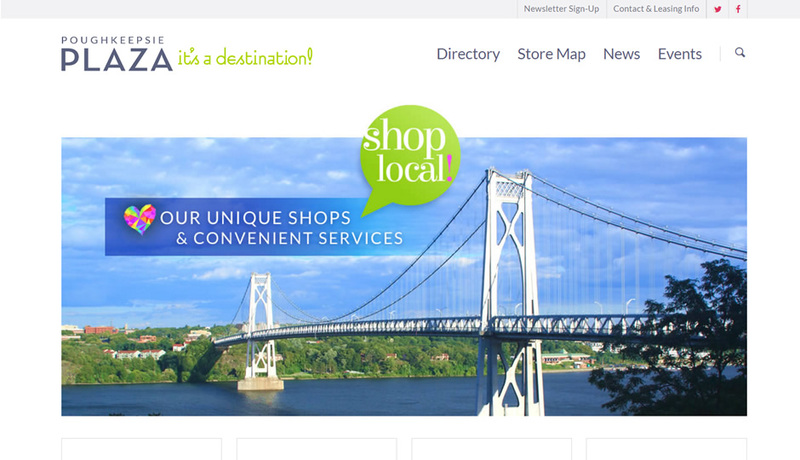 The new site is mobile-friendly so it's easy for visitors to shop and order whether your at work or at the beach. 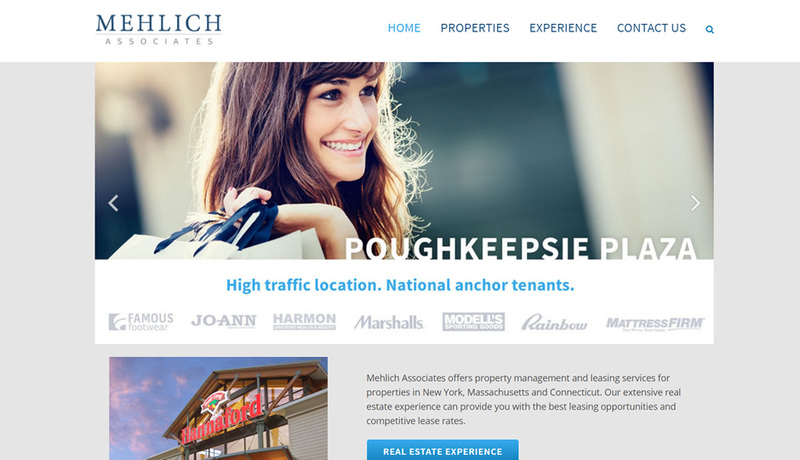 We created a gen 3, mobile-friendly site for Mehlich Associates, which offers management and leasing services for properties in New York, Massachusetts and Connecticut. The Properties section features hi-res photos, anchor store info and regional demographics. 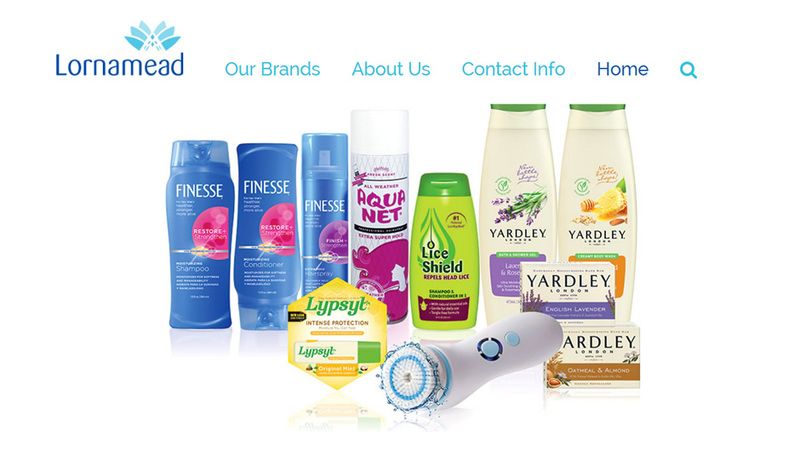 We created a clean and simplified mobile-friendly site for this multi-national personal care products company. Our working relationship spans over a decade with Lornamead, covering much web history and now, their mobile-friendly gen 3 site we've recenly launched. We also created a site for their lipcare line Lypsyl; an update to that site is in progress. 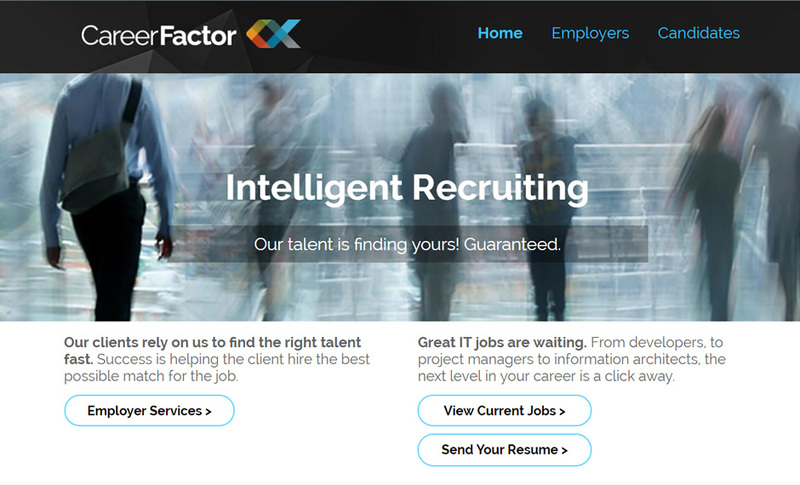 CareerFactor is a Connecticut-based firm that provides companies with advanced level IT talent as well as recruiting and full-time placement. Our comprehensive design services included a suite of digital and traditional marketing services, as well as a new logo design and other branding elements. 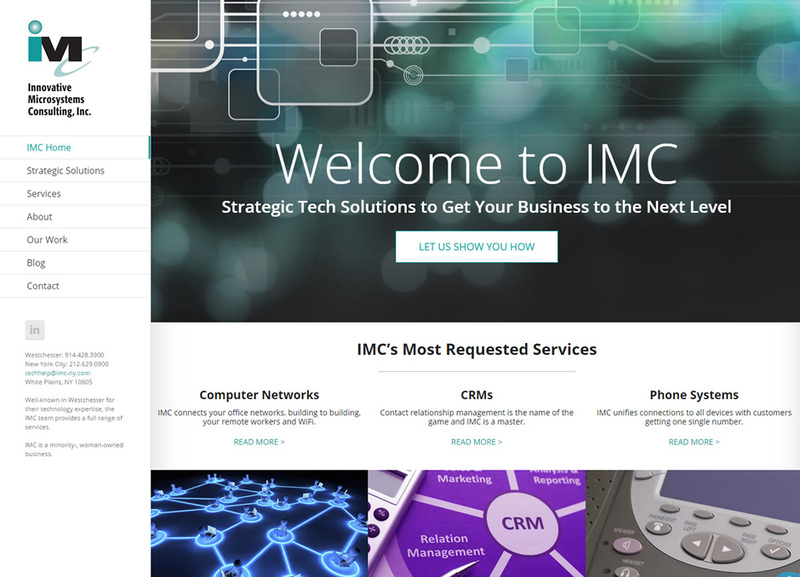 IMC, an IT consulting firm whose client base includes many nonprofits, had a website with a muddled message and limited functionality. The new mobile-friendly website has a sharper message and visual impact, with design and display flexibility for optimal viewing on any device. 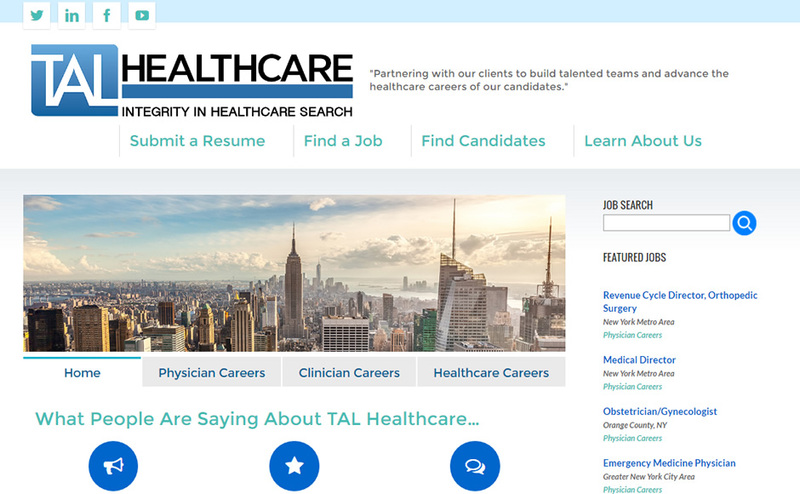 Tal Healthcare matches experienced and credentialed professionals with careers in the healthcare sector. Extensive research was undertaken to ensure we were offering visitors the ability to quickly browse and easily apply to jobs with one click while on their phones and tablets. Built within the WordPress framework, the new site allows client-side admins to post jobs from anywhere. A robust and flexible job search feature allows candidates to search by their location and multiple healthcare specialties. This dovetails with the one-on-one search services they offer candidates and companies. We also redesigned the Tal logo and established a new Youtube channel with consistent branding. 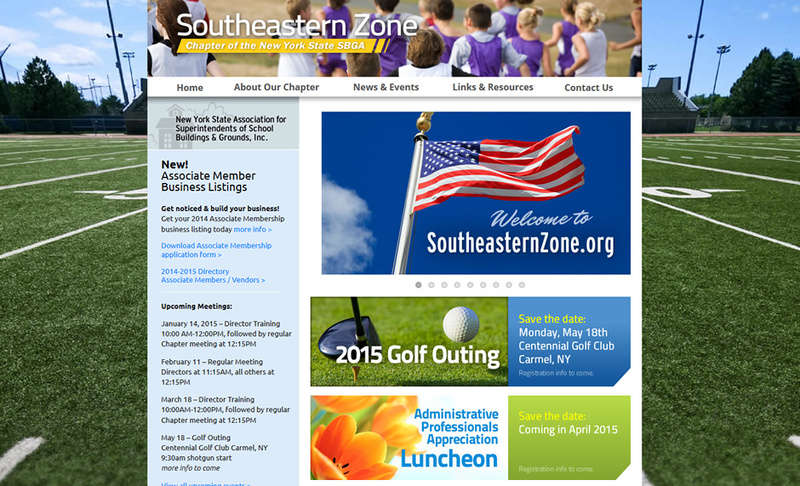 These regional New York SBGA informational websites are designed to help members keep up to date on meetings, events and news for senior-level facility management professionals. Features include expanded info on the chapters, local weather forecast widgets, and corporate vendor sponsors section.